Welcome to the Cassiopaea.org Nexus page! Here you can find links to our other websites. Cassiopaea.org and Cassiopaea.com and Quantum Future.net are the websites founded by Theoretical Physicist Arkadiusz Jadczyk and his wife, amateur historian and writer, Laura Knight-Jadczyk. Quantum Future Physics is the website devoted to the work of Professor Jadczyk. There you will find information relating to Event Enhanced Quantum Theory, Quantum Jumps, EEQT and the Five Platonic Fractals., Transdimensional Transfer Techniques, Jacques Vallee, Quantum Fractals , Critical notes on Richard Hoagland and Tom Bearden, Critical notes on Val Valerian's "Matrix III", ideas about Knowledge and Freedom, technical papers on "Quaternions and Monopoles", and most exciting of all, the views of a theoretical physicist on Physics of the Mysterious. Professor Jadczyk is fascinated by the problems of the foundations of quantum theory, and its relation to the philosophy of science and theories of knowledge, consciousness and mind. In the past he has worked on algebraic methods of quantum theory, differential geometric methods of field theory, theories of gravitation, Kaluza-Klein theories of hidden dimensions, and supersymmetry, non-commutative geometry. The interested reader can have a look at his CV and List of Publications. Laura Knight-Jadczyk: is the author of eight books: The Secret History of the World, a radical reassessment of history, science, religion and myth, which contains the results of her search for the underlying principles of our reality, 9-11: The Ultimate Truth (co-authored with internet author Joe Quinn) a groundbreaking expose of the real events behind the 9/11 attacks; The High Strangeness of Dimensions, Densities, and The Process of Alien Abduction and the Five Volume Wave Series. She is currently working on additional Volumes for The Wave Series and a follow up to The Secret History of the World. Laura is also the author of numerous articles in print and on the Internet. She founded, edits and publishes the popular International News and Commentary, SOTT.NET. "After all this time, I cannot begin to tell you what is truly happening with Laura. I do know that she remains as intriguing as ever. From the moment I met her, she has made me consider possibilities that would not have occurred to me otherwise. She has forced me to see and think in new ways." That is Laura's greatest gift, and one that she shares freely with her readers. Be prepared to challenge and examine everything you ever thought and believed as she brings the logic of a mathematician, the vision of a mystic, and the compassion of a mother to the quest for the solutions to the problems of Man and the Universe. Ark and Laura are admirers of the celebrated British mathematician, William Kingdon Clifford whose books, papers, and research made important contributions to the enormous scientific progress of the 19th century. Bertrand Russell noted in 1945, that, besides being a mathematician, Clifford was a great philosopher who: "saw all knowledge, even the most abstract, as part of the general life of mankind, and as concerned in the endeavour to make human existence less petty, less superstitious and less miserable." Among William Clifford's many friends were Thomas Huxley, George Eliot, Lord Morley, Frederick Pollock, John Tyndall, and Leslie Stephen. Among his academic contemporaries were James Clerk Maxwell, Lord Kelvin, Arthur Cayley, J.J. Sylvester, Oliver Lodge, Karl Pearson, H. J. S. Smith of Oxford, C.F. Klein, H. von Helmholtz, Hermann Grassmann, Ludwig Boltzmann, J. Willard Gibbs and C.S. Pierce. Clifford was, at the beginning of his career at Cambridge, an ardent High Churchman. His belief in Catholic theology was a result of his family background and his studies of St. Thomas Aquinas at King's College in London. Clifford participated in religious debates in which he attempted to reconcile advances in scientific thought with traditional Christian beliefs. As time went by, he found his early formal Christian faith becoming eroded, and his skepticism grew. By his third year at Cambridge, he had become an eloquent and zealous advocate of agnosticism, and later, of atheism. Clifford studied literature, history, and languages including Arabic, Greek and Sanskrit; he was very much interested in "all methods of conveying thought." Their number was very few, and their mode of election was the most remarkable I have ever known. The vacancies were exceedingly rare - perhaps one or two in the course of the year - and the utmost care and study were bestowed on choosing the new members. Sometimes months were given to the consideration of a man's claim. The man was not to talk the talk of any clique; he was not to believe much in any of his adventitious advantages, neither was he to disbelieve in them - for instance to affect to be radical because he was a lord. I confess I have no one word which will convey all that I mean; but I tell you that above all things he was to be open -minded. When we voted for a man we generally summed him up by saying, "He has an Apostolic spirit in him" ... no honour ever affected me so much as the being elected, as a youth, into that select body ... and some of the foremost men of the time belonged to that society. This society was a group through which, as Henry Sidgwick, the great nineteenth century moral philosopher described it, members acquired "a belief that we could learn, and a determination that we will learn, from people of the most opposite opinions. " This accurately describes the "spirit" and composition of the Quantum Future Group. Now, as then, there is a Dorado, meant for the good of all men, the gift of Him who sends rain upon the just and upon the unjust. The student of science lives in the consciousness that at any moment that may be revealed to him which shall change utterly the whole face of society, and alleviate in an enormous degree the physical miseries of mankind. And now, as then, there is the danger lest that which is meant for the good of all should be perverted into an instrument of evil; lest, after all, the only result should be that another portion of conquered Nature is cursed for the sake of man. Ark advocates that everyone should act as if the fate of the universe depends on his actions even in the most trivial of situations. To do the "right" thing requires knowledge, perspicacity, and concern for all humanity. This is the principle of non-linear dynamics that is best expressed in the story of the Butterfly Effect. The "Butterfly Effect" is often ascribed to Lorenz. In a paper in 1963 given to the New York Academy of Sciences he remarks: One meteorologist remarked that if the theory were correct, one flap of a seagull's wings would be enough to alter the course of the weather forever. By the time of his talk at the December 1972 meeting of the American Association for the Advancement of Science in Washington, D.C. the sea gull had evolved into the more poetic butterfly - the title of his talk was " Predictability: Does the Flap of a Butterfly’s Wings in Brazil set off a Tornado in Texas?" I dare say, now, that you are rather indignant at being kept so long hearing perfectly obvious remarks that are true of everything. You may think that it is beneath the dignity of human nature to spend all this time in contemplating the size and shape of a piece of wood. Very well; it is written in the fifteenth chapter of the Koran that when Adam was created all the angels were commanded to worship him. But Eblis, the chief of them, refused, saying, "Far be it from me that am a pure spirit, to worship a creature of clay." And for this refusal he was shut out forever from Paradise. Now the doom of Eblis awaits you if you fail to give due reverence to these little obvious everyday things - things that are true of every stone that lies on the pavement, of every drop of rain that falls from heaven, of every breath of air that fans you. Like him, you will find with astonishment, that the creature of clay that you despise is the Lord of Nature and the Measure of all things, for in every speck of dust that falls lies hid the laws of the universe; and there is not an hour that passes in which you do not hold the Infinite in your hand. After years of working with people's heads via hypnotherapy, I didn't much care whether such things as "past lives" actually existed or not. I only cared that the therapeutic modality worked and gave people relief. My own theory was that it gave them a drama to explain things, to work things out; a way to achieve a resolution by changing the script of the drama. Same with "spirit release therapy." I incorporated that process in a couple of cases where nothing else worked in the late 80s. I was quite astonished at the results (and was very careful to not contaminate my subjects), and wondered just what the heck was going on? Again, I just explained it to myself that it was a self-created drama that allowed the person to sort themselves out. It didn't matter to me; I wasn't invested in believing any of it. I only cared that it relieved suffering. And it did, every time. It was even a rather simple formulaic process which is why I was so surprised that it worked. Could it be that easy? My working hypothesis at the time, considering the boring regularity with which subjects from all walks of life came up with the same images, the same types of dramas, the same dynamics in the subconscious mind, was that there was some sort of "field of images," or archetypes to which all human beings were connected in some way. Well, let me make that more precise: people sorted into groups according to which images and dynamics were dominant in their particular case. Jung's work was helpful, but didn't go far enough to explain what I was witnessing. So, I decided that it would be interesting to access this pure field. That's actually what started the whole thing. Well, how does one access such a theorized field of symbols and dynamics that seems to have some "rule" over people's lives? The obvious answer was some form of "channeling." BUT, there was a catch: I didn't trust anything - and I mean ANYTHING - that would just come into somebody's head - not even my own. I also wasn't interested in talking to alleged "dead dudes" anymore because, by this time, I'd had quite enough of that and if anybody knows they don't have much of interest to say, it was me, (assuming that it is anything other than a drama in the head of the subject). One of the more interesting theories I came across regarding so-called "channeling" was developed by Barbara Honegger, said to be the first person in the United States to obtain an advanced degree in experimental parapsychology. Honegger suggested that automatism was the result of "stimulation" of the right hemisphere of the brain so that it could overcome the suppression of the left hemisphere. Automatism, as you might know, relates directly to utilizing a device such as automatic writing or a Ouija board type instrument. It was never entirely clear what was doing the stimulating, however and I could obtain no further information on her research. Whether or not the information was supposed to come from the subconscious of the individual or "spirits," was not clearly spelled out. But my thought was that, if it was true that some form of automatism could assist in synchronizing the right and left hemisphere of the brain, that even if it did not result in any real "contact," it was still a worthy exercise. As I have said, there was an open possibility in my mind that such things as "spirits" were merely fragments of the personality of an individual, sort of like little broken off circuits in the brain running in repetitive loops, created by trauma or stress. Perhaps an individual, when faced with a difficulty, entered a narcissistic state of fantasy, created a "dream," which was imprinted in the memory of the brain. If they then emerged from this state back into dealing with their reality, but not having dealt with the issue itself, it might become locked away in a sort of cerebral file drawer, sitting there, waiting to be triggered by the electricity or neurochemicals of the brain in some random unconscious scan. The same could be said for so- called past life memories; they were merely self-created memory files generated in a state of narcissistic withdrawal due to stress. Such neurological files could then be downloaded and read by using the conscious bypass method of either automatism or simply allowing the conscious mind to "step aside" as in hypnosis. For that matter, simple psychotherapy could be considered channeling in these terms. Trance channeling is more problematic because it suggests a definite pathological condition. In such cases, the "alter" ego, as either an alternate personality or whatever, is strong and well entrenched enough to establish a far stronger hold on the body of the host than those which can only manifest via automatism or trance. My theory was that whatever the theorized "source" of whatever might be accessible, the method of automatism could be more safely utilized to access the field of archetypal symbols and dynamics that seemed to be the pool from which all people drew in the creation of their personal dramas, leaving aside the question of whether or not those dramas represented anything factual or not. My idea was that if this field could be accessed directly, after playing out and thereby eliminating via feedback, any personal thought loops or memory files, that a great deal of information about the human condition at large might be available. I continued to dig and read cases and find out everything I could about the subject. That's when I came across one of the first clues about the role of the "standard religions" in suppressing the human ability to access whatever it was - whether it was the subconscious, an archetypal field, or whatever. It seems that all "primitive" or preliterate cultures had some form of codified communication between "spirits" and the living. Again, let me reiterate that I consider this nomenclature to be simply convention. This phenomenon seems to be universal in the ancient world, and only came under condemnation with the inception of monotheism around 1000 BC. When Yahweh spoke through his channels, they were called prophets and the activity was "divine inspiration". When anybody else did it, it was necromancy or demonic possession, or even just out and out deception. This was because, obviously, since Jehovah/Yahweh was the only god, those other "gods" did not exist, therefore, anyone who claimed to be channeling them was lying. Of course that begs the question as to why people were put to death for lying about communicating with gods that were claimed not to exist? And, if they did actually exist, and were actually communicating, as Yahweh was also, then what status does that suggest about Yahweh, since he was the one who claimed to be the only god and that this was true simply because Yahweh said so via channeling? Most curious. In the sixth century BC the Thracian Dionysiac cults were known to be using shamans as trance channels to communicate with the spirits, or what were then known as theoi or gods that were said to be discarnate immortal beings with superhuman powers. Some scholars suggest that rationalist philosophy was born out of the Dionysiac, Orphic, and Eleusinian mystery cults devoted to the channeling of these gods; certainly much ancient Greek philosophy, especially that of Pythagoras, Heraclitus, and Plato, was saturated with these mysteries. In Plato's Theagetes Socrates confesses, "By the favour of the Gods, I have since my childhood been attended by a semi-divine being whose voice from time to time dissuades me from some undertaking, but never directs me what I am to do." The most interesting item of all is the fact that Pythagoras used something like a Ouija board as early as 540 BC: a "mystic table" on wheels moved around and pointed toward signs that were then interpreted by the philosopher himself, or his pupil Philolaus. Even down to the present day, the mysteries of the Pythagoreans are subjects of intense interest to scientists and mystics alike. And here there seems to be evidence that the advanced knowledge of Pythagoras may have been obtained via a Ouija board! This brings us back to the question, of course, as to how "channeled" information could have been the basis of the Rationalist philosophy that there was nothing to channel? Could it be merely a progression of the idea of Yahweh/Jehovah that there was only one god, and he was it? Just another step in stripping away any spiritual support from the lives of human beings? By the time the Romans had conquered Greece, the rationalist movement was turning against spirit-channeling. Cicero, the Roman rationalist whom the early Church Fathers highly revered, railed against spirit-channeling or necromancy on the grounds that it involved ghastly pagan rituals. What seems to have happened is that, eventually, rationalism bit the hand that fed it and began to devour its father, monotheism, by further extending the argument to the idea that there is no god, there are no spirits, nothing survives the death of the physical body, so there is really nobody for us to talk to on the "other side," so why bother? Science took the view that the whole thing was a con game, and that's pretty much the current mainstream scientific opinion of the phenomenon today. Nevertheless, as I noted: I thought it would be interesting to try to access the "pure field of archetypes." I knew it would take time to run out all the loops - whether spirits or just subconscious dramas - and that patience and persistence was important. And so, I settled down to do it, and it took over two years. Ark writes: The name Cassiopaea was given by a consciously "channeled source" which Laura accessed in 1994 after two years of experimental work. The source identified itself by saying "we are you in the future." Modern physics does not provide us with practical means for this type of communication, and theories on this subject are not well developed; they are, in fact, inconclusive and controversial. When interpreting "we are you in the future in an oversimplified way, we are faced with causal paradoxes. On the other hand, from the theoretical papers published in physics journals we can learn that, with a proper and careful interpretation, and taking into account quantum uncertainties, communication into the past cannot be dismissed as impossible. Improbable perhaps is the right word, but there are many things that are improbable and yet happen. That is why we did not dismiss the "we are you in the future" as impossible and therefore ignorable. Instead we decided to continue the "communications" as a form of a controlled experiment in "superluminal thought transfer" – even if it was clear that the term should be considered as a tentative indication of only one out several possible interpretations. The information received from this experiment is presented in the context of broad ranging historical, scientific and other metaphysical material and offers the clues that have led to the world view and inferences presented by us in our numerous publications on this website and in print. Perhaps it is only our own "subconscious mind" that presents itself as a "source," but even if it is so, does that tell us more? Do we really know what "unconscious mind" is and of what is it capable? We sometimes ask ourselves if the Cassiopaeans are who they say they are, because we do not take anything as unquestionable truth. We take everything with a grain of salt, even if we consider that there is a good chance that it is truth. We are constantly analyzing this material as well as a great quantity of other material that comes to our attention from numerous fields of science and mysticism. We find it to be quite extraordinary that the Cassiopaean Material is so closely aligned with the teachings of the great Sufi master, Ibn Al-'Arabi, with the Fourth Way Teachings of Gurdjieff, Castaneda, with the Esoteric Christianity of Boris Mouravieff, and even ancient Altaic Shamanism. In this sense, the Cassiopaean Experiment is truly a Fourth Way work. The reader might wish to begin with The Wave Series. "The Wave" is a term used to describe a Macro-cosmic Quantum Wave Collapse producing both a physical and a "metaphysical" change to the Earth's cosmic environment theorized to be statistically probable sometime in the early 21st century. This event is variously described by other sources as the planetary shift to 4th density, shift of the ages, the harvest etc., and is most often placed around the end of 2012. The Wave Series begins with a UFO abduction account, a transcript of an actual hypnotic regression session, that refers to a global cataclysmic change. Please note that we do not, however, subscribe to the notion that such events can be exactly predicted as to whether or when they might occur. Quantum physics talks about statistical probabilities, not prophetic certainties. The Wave series of articles demonstrates the unique nature of the Cassiopaean Experiment. In her skillful collecting of the pieces of the puzzle from throughout the transcripts, in-depth research, personal experiences, then weaving them into a finished product, Laura brings added depth and dimension to the original transmissions. Laura presents what the Cassiopaeans - We are YOU in the future - have to say about the eventuality of The Wave - FROM the future - including an exploration of the limitations of man's present estate, in cognitive, biological, historical and ontological terms. Another article written by Laura that treats the subject of cyclic cataclysms, giving some the scientific evidence in a shorter version, is entitled Independence Day. The publishing of the Cassiopaean communications in The Wave Series and the establishing of the network of dialogues among those interested in this material - later to become the Quantum Future Group - was followed almost immediately by numerous attacks on Ark and Laura from various individuals. These events led to her writing of the Adventures With Cassiopaea Series, which includes in-depth studies of psychopathy, COINTELPRO and Secret Government projects. 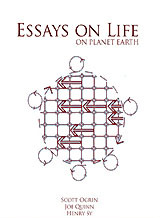 Here you will find details about Nobel Prize Winner John Nash and Game Theory, Ira Einhorn and the creation of the New Age Counter Intelligence Program, Andrija Puharich, Alternative Three, Mind Control Research, the Philadelphia Experiment and the suicide of Morris Jessup, cyclical cataclysms, cometary impacts and meteorite showers, and most important of all: the problem of psychopaths in our society. Our page on Psychopathy is one of the most popular on the site which attests to the fact that psychopathy is epidemic in our times. Don't forget, Quantum Future Net includes The Signs of the Times, an ongoing News Resource Project that is updated daily. Be sure to check it out for all the latest News, Current Events, and in-depth commentary by Quantum Future School staff members. The Signs of the Times is an alternative news and news commentary page. We scour the web daily, analysing a large range of mainstream media and alternative media reports to bring our readers details of the latest world news and global current affairs as they happen. Our news analysis, research and investigation cover areas such as politics, social affairs, religious affairs, history, archeology, science, weather, earthquakes, volcanos, meteorite sightings, anomalous occurrences and much much more. We also conduct our own independent investigations and present the results here on the Cassiopaea website for the benefit of our readers. If you are interested in the events surrounding 9/11, you'll want to check out our American Coup d'état page, as well as Laura's book: 9/11 The Ultimate Truth. The events of 9/11 have reshaped the political, social and cultural scene more than any event since the Second World War. The work of George W. Bush, in league with US intelligence agencies, the neocons and Mossad, is apparently designed to bring the globe to the Apocalpyse. We see the effects all around the world with greater and greater impediments to travel, "preemptive wars" that give the US the "right" to strike who they will when they will, and draconian laws that are said to target "terrorists" but which are aimed at local populations to better bring them under control. But to understand what is happening today, one needs the overview of human development that history provides. Laura's book, The Secret History of the World , is the most complete source for her research and analysis of history. You might also be interested by the series Who Wrote the Bible, the articles on Truth or Lies that discuss the early "Christian period", or the articles that comprise Nostradamus, Edgar Cayce, Jupiter and the Return of the Mongols. We invite the reader to share in our seeking of Truth by reading with an open, but skeptical mind . We do not encourage "devotee-ism" nor "True Belief." We do encourage the seeking of Knowledge and Awareness in all fields of endeavor as the best way to be able to discern lies from truth. We constantly seek to validate and/or refine what we understand to be either possible or probable or both. We do this in the sincere hope that all of mankind will benefit, if not now, then at some point in one of our probable futures. The Introduction to the Cassiopaean website site discusses this in more detail.